With Thanksgiving around the corner, one of the most popular shopping events of the year is just a week away. Though Black Friday is a great way to get a head-start on your holiday shopping, the desire to overspend is very real. 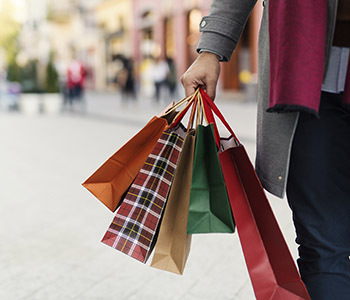 Beware of Black Friday “deals,” and utilize these tips to manage your spending so Black Friday won’t put you in the red. Sometimes special tactics are needed to survive the holiday season and the shopping it encompasses. Here are 6 steps for treating holiday shopping like a military operation. Do you stay away from the malls on the Friday after Thanksgiving? Find out why Financial Finesse Financial Planner, Michael Smith, isn’t a fan of Black Friday. All your shopping is done, and you might have given in to the pressures of opening a couple store credit cards to get that extra Black Friday deal. What now? Check out your options and how they may impact your credit score.